4 pack miniatures, Golden retriever. Stylish as cell phone sticker! 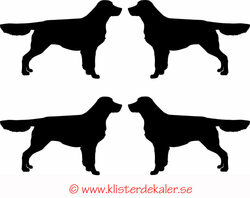 Each dog has size 2,7x, 2,6 cm, 4 pieces in each packet.